Seeing a hypnotherapist can seem daunting, and people are naturally anxious about it. On this page we’ll explore a typical hypnotherapy session and techniques I use with my clients. By getting more information about hypnotherapy, you can feel secure that you’re making the right decision. So, even if you’ve been to hypnotherapy before, read on to find out more. Hypnotherapists often work in different ways so it helps to know what to expect. What Do Hypnotherapy Sessions Involve? We start with a free consultation. People are sometimes nervous to begin but they soon relax into it. I’ll ask some general questions to find out what is going on, and then explain what I can do to help, the techniques I use, and how many sessions it will take. I’ll be very honest about this. Typically, the free consultation brings a sense of relief and hope. People gain an insight into their difficulties and discover how they can move on in life. Discussing problems with a stranger can actually be quite liberating. All consultations are conducted on the condition of strict anonymity. “I had seen Adrian’s site a while ago but kept putting it off until I finally made the effort contact him, and I’m glad I did. 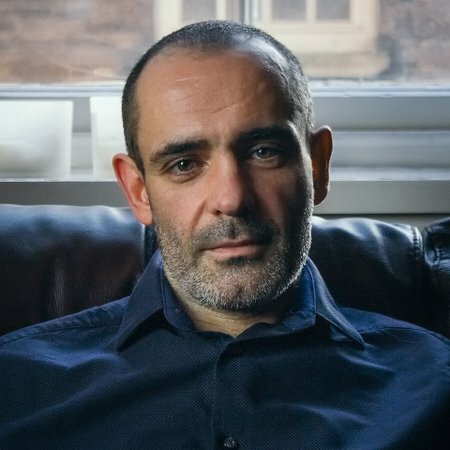 After an initial consultation we went through what my problems were, and Adrian explained how we could change these behaviour patterns I was in with NLP and hypnosis. He was understanding, friendly and easy to chat to, which helps when you are lacking confidence. You will always be offered the choice of booking a session or having a think about it – there is no pressure either way. This initial meeting usually takes 30 – 60 minutes. If you decide to go ahead, we’ll arrange the first session at a time that is convenient for you. In the first session, we’ll identify your therapeutic goals: what do you want more of? What do you want to let go of? How will you know you’ve made the changes you’re looking for? These goals give us a road-map to work from. I’ll ask various questions and build up a case history. This helps me understand the nature of your problem(s). This helps me to select the right techniques for you. I like to keep the sessions relaxed, interesting and – where possible – enjoyable. I will introduce you to different therapy techniques: visualisation exercises, changing negative self-talk, desensitising old memories, teaching you how to relax and respond differently in difficult situations. Each person is unique and so are their problems. My approach is dynamic, flexible, and tailored to your needs. Towards the end of the first or second session, I’ll explain what hypnotherapy is and how it works. We’ll then try some simple hypnosis techniques. People find this interesting, relaxing, and beneficial. As we progress, we’ll use hypnosis in sophisticated ways to help you achieve your goals. The number of sessions required will depend on the work we have to get through. People usually end therapy feeling happy to have got what they came for. Many of my enquiries come via referral from previous clients. Human behaviour can seem baffling at times. And yet, from the simplest bad habit to the most complex circumstances, we can break down our problems and understand them. Alex, a 24-year-old student in Manchester, contacted me for help with social anxiety. Although outwardly confident, inside he was a nervous wreck – especially around new people. Worse still, he had to give presentations at university. This caused procrastination, panic attacks, and more. Self-talk: Alex’s self-talk was negative and critical. His thoughts were often distorted by ‘black and white’ thinking, and he was unduly harsh on himself. Anticipatory anxiety: he constantly worried about the future. He felt anxious about making a fool of himself and other people’s perception of him. Emotions: he felt frequently jumpy and on edge, especially before social situations or presentations. Behaviours: Alex avoided speaking up in groups and often refused social invitations. He procrastinated on a daily basis, which had become a difficult habit. Automatic responses: blushing was a particular problem, especially when feeling ‘on the spot’ or under scrutiny. Limiting beliefs: Alex held several negative beliefs about himself. Although he understood these beliefs to be harsh and unfair they still felt real. The past: Alex had been bullied at school, and memories of those times sometimes ‘popped’ into his mind. Without realising, these past events were undermining his confidence. Pessimism: despite being likable and clever, Alex habitually believed that things would never improve for him. This pessimistic thinking style held him back. As we can see, Alex’s social anxiety affected him in different ways. Most of our problems can be broken down in this way. As an experienced therapist, it is my job to understand how this works. Here’s the important bit: according to some research, up to 80% of the things we do happen without conscious control. This leaves us feeling powerless, which is why I use hypnotherapy in particular as a tool for therapeutic change. Thoughts: I taught Alex how to recognise negative self-talk and ‘see through’ distorted, negative thinking. For example, Alex’s default assumption that people didn’t like him was an example of ‘mind reading’. Alex quickly learned to dismiss negative thinking. Physical relaxation: I advised Alex to get more relaxation in his life, and taught him how to relax in the moment before anxiety took hold. This made a huge impact, enabling him to approach challenging situations with more confidence. Old memories: Alex had some memories of being bullied at school. We used techniques to take the pain out of those experiences, which made a huge difference to his anxiety and self-esteem. Pessimistic thinking: I showed Alex how to recognise pessimistic thinking and to challenge it. Ultimately: thoughts are just thoughts – they are not the ‘truth’! Avoidance behaviours: Alex learned to pay attention when he felt an impulse to avoid daunting activities. Using the techniques listed above, and with a gentle push, he found the courage to get more involved in uni life. Hypnotherapy: using advanced hypnotherapy techniques, I helped Alex reduce the automatic blushing that had plagued him for years. Hypnotherapy can be used to tackle our difficulties in different ways. As a result of Alex’s seven sessions, he found himself more confident, less anxious, less prone to blushing, and more willing to step out of his comfort zone. (Name has been changed and permission was sought to write up this case study). Hypnosis is not dangerous in any way. It combines a gentle relaxation with an absorbed, inner focus. This is really healthy, reducing stress and discomfort, and relieving hypertension, anxiety, and pain. Hypnosis also helps to foster feelings of self-control, increased self-confidence, enhanced emotional well-being, and a freedom from past traumas. It is an incredible tool for bringing about psychological change. Hypnotherapy has been recognised as a therapeutic modality by the British Medical Association since 1955. I am experienced, insured, and fully qualified to practice. In Hypnosis, are you Asleep or Unconscious (i.e. ‘Put Under’)? Hypnosis does not leave you unconscious. When hypnotised, people are relaxed but alert. Should the fire alarm go off, you would instantly be aware of it. Think of hypnosis as a really vivid daydream, something similar to modern meditation techniques. Are There People Who Cannot Be Hypnotised? Some people are easier to hypnotise than others, but everyone can be hypnotised if they want to be. And like everything, it gets easier with practice. Isn’t It Only the Weak-Minded or Weak-Willed That Can Be Hypnotised? There is a significant body of scientific research exploring the correlation between specific personality traits and being ‘more hypnotisable’. According to research, the ability to be hypnotised does not correlate with any specific personality trait (Kirsch & Council, 1992), including a person’s capacity for ‘a strong will’ (Kirsh, Lynn, & Rhue, 1993; 1996). Hypnosis is not a form of mind control, and there is no connection between being ‘weak willed’ and hypnosis. Will I Tell You All Of My Secrets? Hypnosis is not a truth serum! You still decide what you want to say. You still have free will. You cannot be made to do or say anything that you do not wish to do. No, hypnosis is more like reading a good book or watching a good film – you could never get ‘stuck’ there. You always remain in control. There is more to hypnosis than mere acting. No one would expect to undergo surgery painlessly using simple relaxation. If you would like to see more hypno-anesthesia (and you’re not squeamish) then click here (WARNING: contains graphic operation theatre footage). Expectation, along with other social factors, does play a part in hypnosis. However, whether hypnosis is a special state, a transactional outcome, a socio-cognitive experience, or all of the above and more, one thing is for certain: it is more than just relaxation. Will Hypnosis Make Me Remember Bad Things From My Past? Some people fear that bad memories might ‘come up’ when experiencing hypnosis. However, in my years of practising I have never seen this. People tend to know when really bad things have happened in their life, even if they cannot remember the details. Hypnosis is a safe, healing tool for change and you don’t need to worry about bad memories – it doesn’t happen that way. NLP (Neuro-Linguistic Programming) is a form of psychotherapy that began as a study of communication. It is a systematic approach to changing the way we think, behave and communicate in order to improve our experience of life. NLP is now used in a wide range of fields, such as psychotherapy, sports science, sales and marketing, business communication, medicine, and education. When used in therapy, NLP generally involves some talking, some visualising and some hypnosis-type exercises. Okay, so the therapy is safe and professional. How much will I pay? To learn more about my prices click here. Therapy is a process, not a quick fix – it is not ethical to offer a guarantee. However, I am very thorough in my work, and I offer a high quality service that really sets me apart. I will always place your best interests first. “I am really grateful to Adrian and to the person who recommended that I see him. I genuinely recommend it to anyone. People choose to work with me because I have an excellent grasp of hypnotherapy and NLP. Whether you need help with anxiety, confidence, weight loss, smoking, or something else – there is a good chance I can help. I have an expert understanding of people’s difficulties and use techniques that genuinely make a difference. Like most therapists, I am passionate about helping people. I strive to be friendly, down to earth, and ‘normal for a therapist’! I’ve worked with people for many years, and I’m used to putting my clients at ease. I like to keep the sessions relaxed, interesting and – where possible – enjoyable. I rarely get cancellations; people usually end therapy feeling happy to have got what they came for. You can discuss your problem in a safe, non-judgemental place and in total confidence. I’ll ask some simple questions to understand what is going on, how it started, and how it is holding you back. I’ll then explain the techniques I use and how they help. There is no fee or obligation for this – you’re welcome to have a think about it afterward. It is just your chance to find out how you can move on in life. All consultations are conducted in my private Manchester city centre office. To call in for a chat all you need to do is get in touch. Contacting a therapist can seem daunting, but you’ve done the hard part by reading this page. Whatever you’re struggling with, you’ve already taken the first step. Use the form on this page to send me a quick message – there is no obligation to you, and I’ll get back to you as soon as possible. Alternatively, you can also call on 07790 506375. I know that getting in touch can seem daunting, but you've done the hard part by looking at this website. You can use this form to send me a message - there is no obligation and I'll get back to you as soon as possible. Alternatively you can send me a quick email or call on 07790 506375. 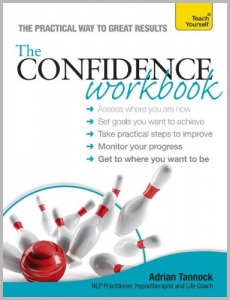 My new book, ‘The Confidence Workbook’ is now available on Amazon and all good retailers.